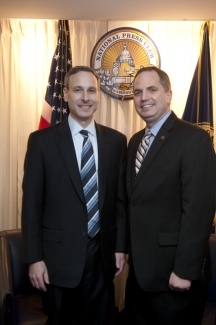 NPC President Mark Hamrick (right) welcomes IRS Commissioner Douglas Shulman to the club prior to Shulman's April 6, 2011 luncheon address. 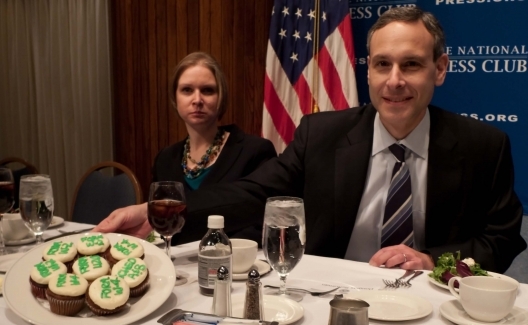 Douglas Shulman, IRS Commissioner with IRS form-design cupcakes prior to delivering his NPC keynote luncheon address. 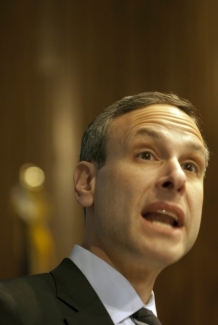 Suzanne Struglinski, NPC Speakers Committee organizer of this event, looks-on. 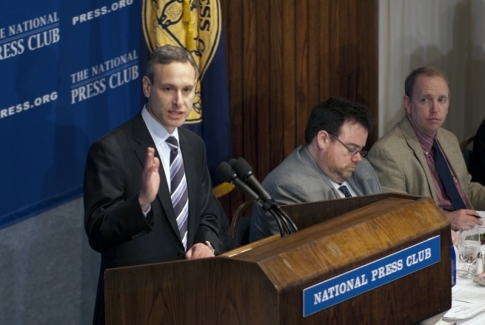 National Press Club, Washington, DC April 6, 2011. 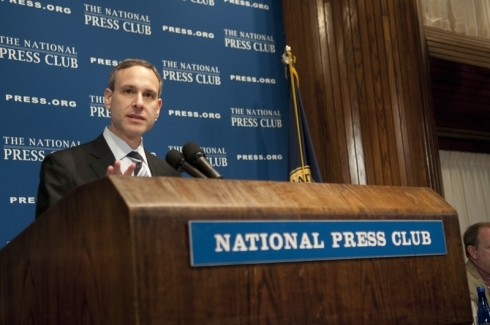 IRS Commissioner Douglas Shulman addresses a National Press Club luncheon, April 6, 2011. 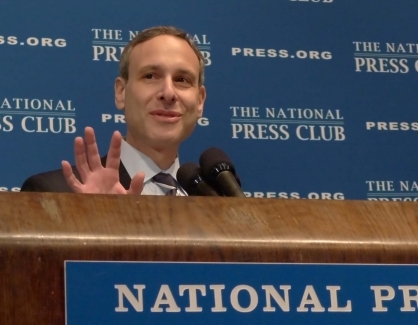 Douglas Shulman, IRS Commissioner delivering his National Press Club keynote luncheon address. 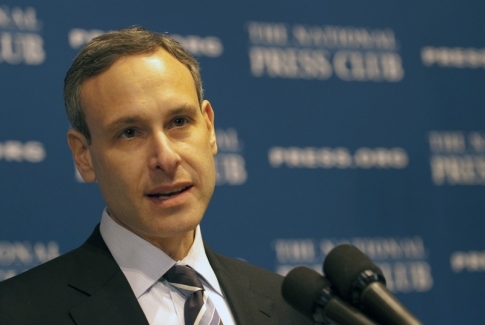 National Press Club, Washington, DC April 6, 2011. 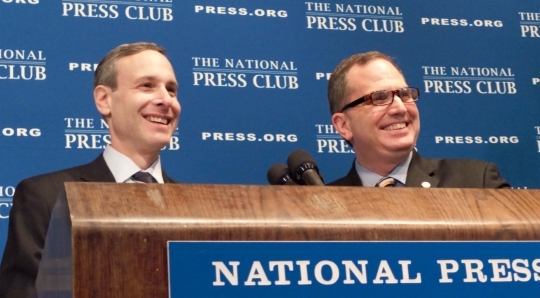 Douglas Shulman, IRS Commissioner and Mark Hamrick, National Press Club President during NPC keynote luncheon address lighter moment. 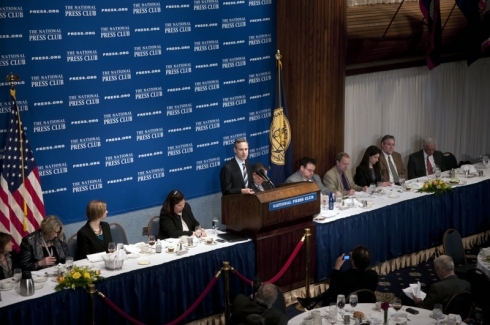 National Press Club, Washington, DC April 6, 2011.